Lampert's latest attempt to rescue Sears came after his previous $4.4 billion bid fell short, prompting the retailer to make liquidation preparations ahead of a bankruptcy court hearing in New York on Tuesday. Drain said that Sears will weigh Lampert's offer against a proposed liquidation during a Jan. 14 bankruptcy auction. Should Lampert's offer falter again, he will forfeit more than $17 million from his deposit to Sears creditors. Lampert's bid, which recently envisioned keeping open 425 stores and preserving up to 50,000 jobs, still faces hurdles that could cause it to unravel in the coming days and prompt Sears to shut down for good. "This is a large company...that affects a lot of people," Drain said during Tuesday's hearing. He called the expectation of a revised bid from Lampert a "good development" that could allow Sears to "survive as a going concern, at least in part." 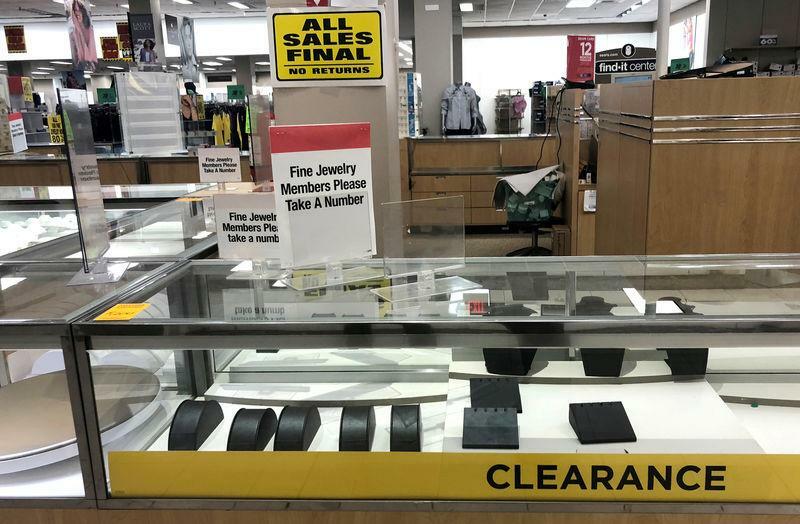 The latest twist in Sears' monthslong bankruptcy proceedings offers new hope that the teetering retailer could remain operational, albeit in smaller form, sparing the jobs of many of its 68,000 workers. Were Sears to liquidate its assets, it would become one of the most high-profile victims in the wave of bankruptcies that has swept the retail sector in the last few years, as the explosion in online shopping exacerbates the fierce price competition facing brick-and-mortar stores. In a stark contrast between e-commerce firms and many physical retailers, Amazon.com Inc became the world's most valuable company for the first time this week, reaching a market capitalization of close to $800 billion. Sears' agreement to reconsider Lampert's offer tables for now controversies that pushed the retailer to the brink. As of Monday night, unsecured creditors were unwilling to give him the release, as they remained intent on investigating some of the past deals, said a person familiar with the discussions. The deals, which Lampert maintains were proper, helped make him the company's largest creditor, in addition to its biggest shareholder. Lampert's offer also included a proposal to forgive $1.3 billion of debt he holds in exchange for ownership of the reconstituted Sears, a bankruptcy maneuver known as a credit bid that has also drawn objections from creditors. The controversy will remain unresolved heading into the Jan. 14 auction, and faces scrutiny from Drain should Lampert prevail with his bid. Abid Qureshi, an attorney representing those creditors, said there are concerns about Lampert's takeover bid, including "significant, viable claims" against Lampert regarding pre-bankruptcy transactions. Another point of contention in previous negotiations between Lampert and Sears centered on whether Lampert's bid fully addressed the bankruptcy costs that Sears has racked up, according to people familiar with the matter. Sears' bankruptcy, which includes discount chain Kmart, followed a decade of revenue declines, hundreds of store closures, and years of deals by Lampert to turn around the company he put together in 2005 through an $11 billion deal. But critics say Lampert let the stores deteriorate, even as he bought the company's stock and lent it money.